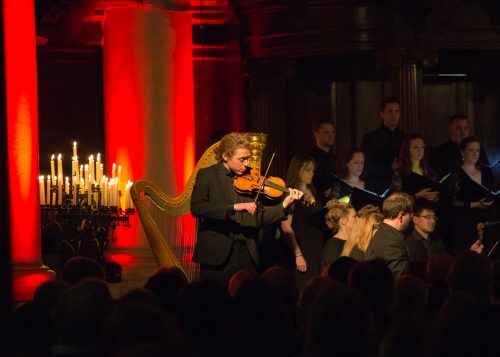 Described as “devastingly beautiful” (Gramophone Magazine) and “simply mind-blowing” (The Scotsman), Tenebrae is delighted to be performing its interpretation of Fauré’s Requiem with the wonderful Britten Sinfonia. Preceded by a selection of Bach’s chorales interspersed with his Partita in D minor, the performance will be presented in true Tenebrae style: set by candlelight and making full use of the performance space. Tenebrae will create an immersive audience experience in what promises to be an unmissable event.